Washington will get its first look at new Redskinsquarterback Donovan McNabb on September 12 when he takes on the Dallas Cowboys -- always a tough contest. But 'Skins supporters hoping for a sneak preview of McNabb don't need to wait for him to test his mettle during training camp, which kicks off on Thursday. On Tuesday, McNabb will be showing off what he's made of at Borders -- where he will be signing a book about his softer side. 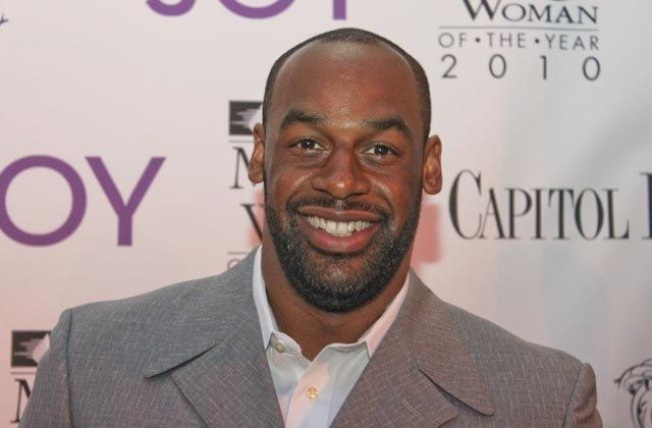 McNabb will be joined by National Football League Players' Association executive director DeMaurice Smith for a signing of NFL Dads Dedicated to Daughters, a book published in partnership A Call to Men -- the nation's leading organization dedicated to stopping violence against women. In Dedicated to Daughters, NFL players and coaches share stories from their own experiences raising little girls. In the book, McNabb as well as Indianapolis Colts coach Tony Dungy, former Pittsburgh Steelers running back Jerome Bettis and Seattle Seahawks quarterback Matt Hasselbeck and others tell stories. McNabb and Smith will appear at 2 p.m. at the Borders bookstore at 18th and L streets NW.